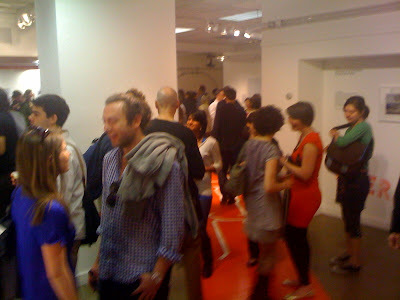 Right across the Roosevelt Island Bridge on Vernon B'lvd in Long Island City there is the wonderful Noguchi Museum which is celebrating it's 25th Anniversary this weekend May 15 & 16 with free admission and programming for all ages. It is a very unique space with the artist's work and a beautiful garden. I received this invitation on behalf of all Roosevelt Island residents to attend the celebration. Here's how you make an Akari Light Sculpture. 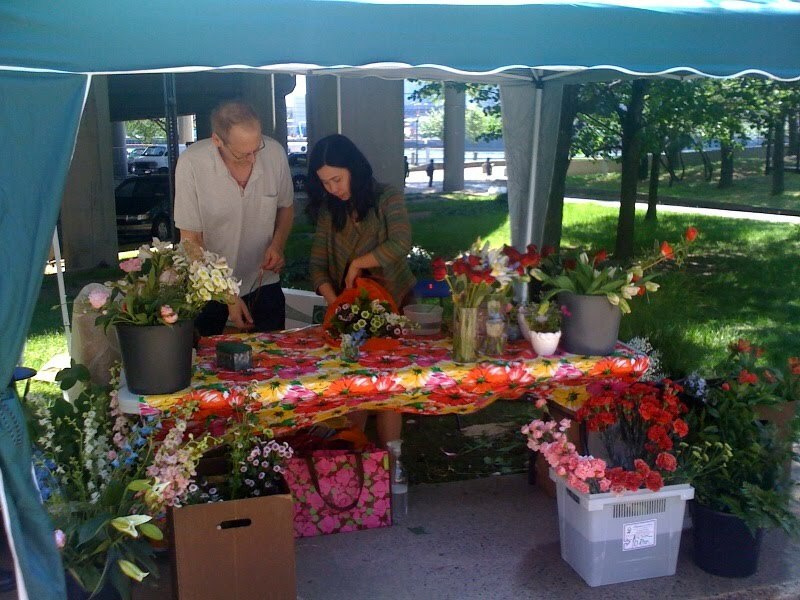 The Roosevelt Island Farmers Market will be open as usual tomorrow morning next to the Roosevelt Island Bridge ramp and will have another new vendor joining the existing crew. Last week I met the nice folks from YA Florist who are bringing some sorely missed flowers back to Roosevelt Island. Give them a try! 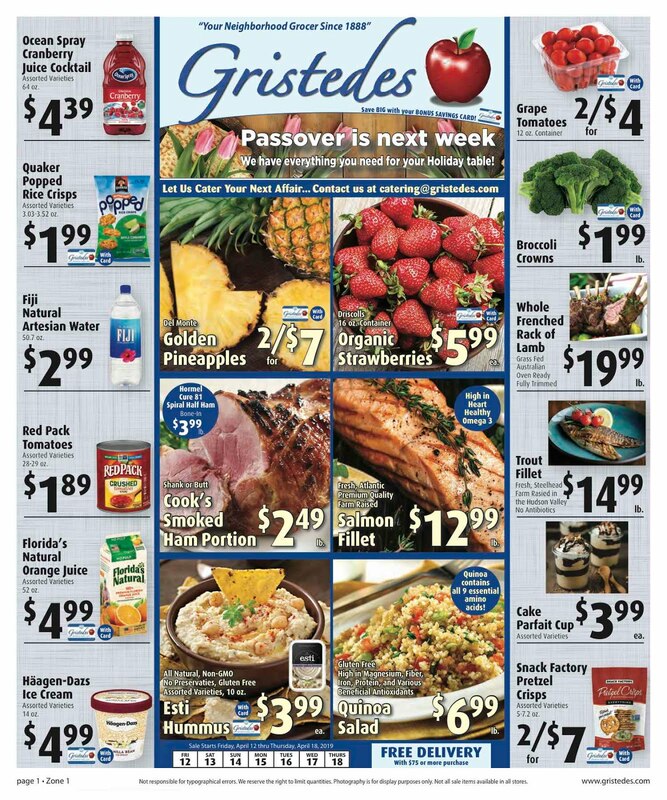 Roosevelt Island Garage now accepts cards! Going to inform the farmers market/other merchants about https://squareup.com/ so they can too! I'd like to see all of Roosevelt Island's merchants, including the Farmers Market vendors, using Square or something similar to it. Would be very convenient. Sunday, May 16th, 2010 at 5 p.m.
More and more birth, marriage and death certificates from Europe are turning up. Steven Kushner, who has spent nearly twenty years tracing his family’s roots, will be your guide. Bring your questions and materials which we will discuss and learn more about your family! 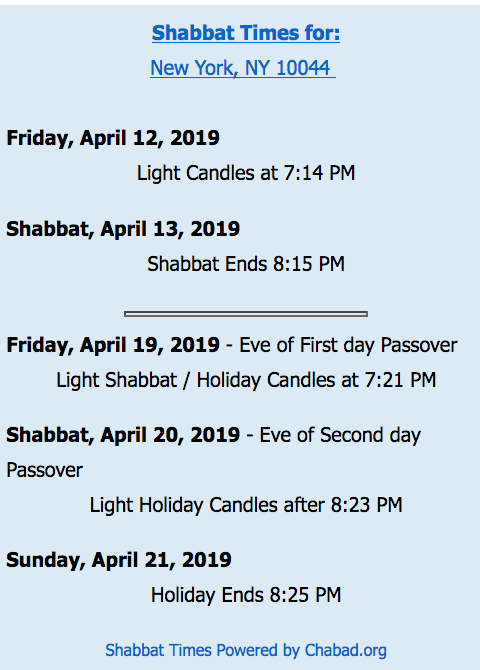 Rabbi Steven Kushner is the spiritual leader of Temple Ner Tamid in Bloomfield, NJ, where he has led the congregation as their rabbi for 30 years. A mesmerizing historian and storyteller by avocation, Rabbi Kushner also loves to study Torah. This event is held as a benefit for the Roosevelt Island Jewish Congregation. RSVPs appreciated but not necessary. ...I am happy to report that today an agreement was reached between the United Federation of Teachers and the New York City Department of Education which will maintain our PA-funded teaching assistants for the 2010-11 school year. The program will be a continuation of the temporary agreement from last summer for the current school year. While today’s news is a victory for our schools, we must not lose sight of the main goal—a permanent, long-term agreement to maintain our invaluable teaching assistants. Since the temporary solution was reached last year, I have worked very hard to bring the UFT and DOE back to the negotiating table in order to develop a comprehensive plan for the future. I will continue to work with the DOE, UFT, our parent leaders, and school administrators to ensure that a long-term solution is reached as soon as possible. 1) The average General Fund donation requested at these schools is between $750 - $1,000 per student. This is quite simply beyond the means of most of the families attending PS/IS 217. 2) As it is, we have not come close to 100% participation in our General Fund Drive of $100 per student, for a myriad of reasons. For one, we have a large number of International Students, who are here on a short-term basis and who are unfamiliar with the concept of "paying" for Public School (& why wouldn't they be?). 3) Another is the abandonment of the school by many of those parents for whom such a contribution would be possible, combined with a lack of support from the community, the businesses and the elected officials. Ideally the costs for TA should come from the DOE, thus ensuring that all students benefit and not just those with an affluent parent body. Both our PTA and the Administration would love to have the funds available to put TA's into our classrooms, particularly in grades K - 2. However, our school does manage to keep our class sizes smaller than at those other schools, and so the lack of TA's does not significantly impact students learning, and allows us to use our funds in other ways. 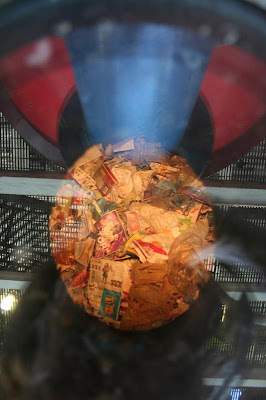 Come See How Roosevelt Island Disposes Of It's Garbage At Fast Trash Exhibit - Underground Pneumatic Tubes Are Pretty Cool! Brooklyn hipsters present and even a Chelsea or SoHo-ish feel to the evening . particularly in view of recent mentions in Gizmodo and Urban Omnibus. The Public School New York class, “On pneumatics (puffs of air, natural magic)”: This single-session class will examine the genealogy and archaeology of "pneumatics," and its roots "pneu-" and "pneuma," against the backdrop of Fast Trash. For more information visit nyc.thepublicschool.org/class/2437. The Center for Urban Pedagogy’s People and Buildings Film Series: CUP will be screening two documentaries about the politics of NYC garbage disposal in the Gallery: the rare 1979 documentary, Collection and Disposal, a Job for the Birds, a window into the City's garbage crisis, and CUP's own Garbage Problems. Benjamin Miller, author of Fat of the Land, will speak on transport and garbage after the films. For more information visit anothercupdevelopment.org/news. Architectural League of New York’s Urban Omnibus meet up: Explore Roosevelt Island with landscape architect Donald Richardson of Zion Breen and Richardson Associates, designers of Paley Park in Manhattan and part of the team for the 1969 master plan for Roosevelt Island. 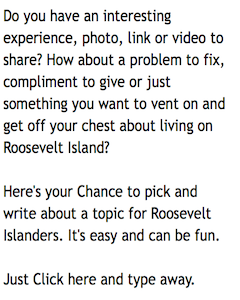 Meet at 2pm in front of the Roosevelt Island Subway Station and end at Fast Trash. For more information visit urbanomnibus.net. 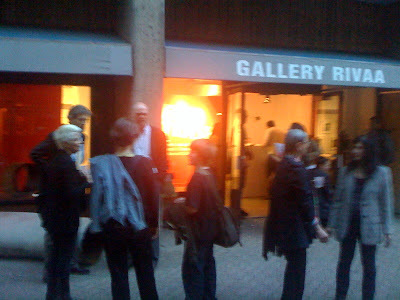 East River waterfront walk starting in Queens and ending at Fast Trash on Roosevelt Island: Richard Melnick, president of the Greater Astoria Historical Society (GAHS) will lead the walk exploring East River infrastructure and Michael Heimbinder Executive Director, HabitatMap will give a garbage talk in the gallery. Time and details TBD. For more information visit habitatmap.org and astorialic.org. 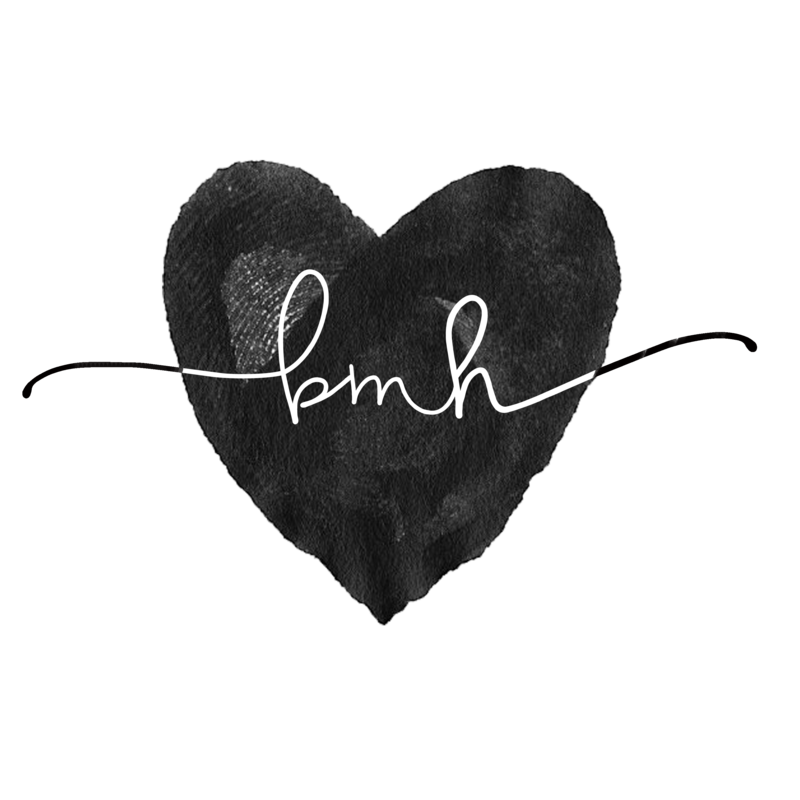 and made this video of her experience. 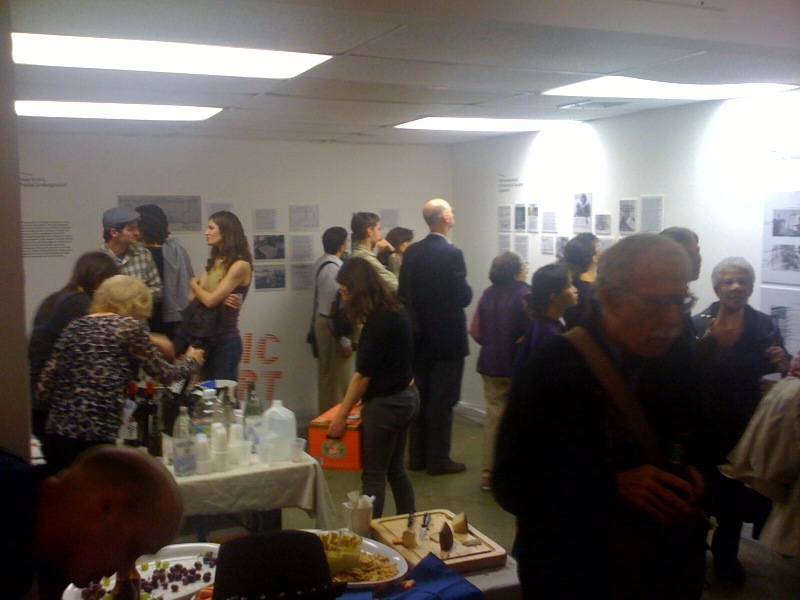 The exhibit will be open until May 23. More information available from earlier post and at Fast Trash. The participation level dropped below the reasonably supportable activity and we are looking at ways to stimulate interest and revive the program. Perhaps this Saturday's open house and free swim will stimulate some participants. We agree that the concept is terrific, but need to find enough participants to justify the expense of the program. So, if you would like to see these Sportspark swimming classes revived, get some more people to sign up. Please be advised the Asbestos Abatement will begin tomorrow morning, May 13, 2010 at 8:00 a.m. in the Motorgate Parking Garage. Floors 8C, 8D, 7C and 7D will be closed due to construction and asbestos abatement. In addition there will be some traffic changes in which area's 6A & 6B will be two-way. Directional cones and signs have be installed indicating the flow of traffic. For Roof Top parking customers, there will be a temporary entrance to the roof during this period. Please use 7B for access. There will be no changes to the existing roof exit until further notice. 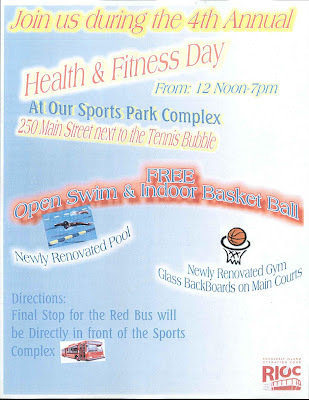 In addition to all of the Roosevelt Island Health & Fitness Day activities this Saturday at Capobianco Field, there will also be free open swimming and indoor basketball at the newly renovated Sportspark (250 Main Street) from 12 - 7 PM. This week, Mayor Bloomberg unveiled a City budget proposal that would entail, among other cuts, the loss of 400 firefighters citywide. At a time when we have been reminded that New York City remains a prime target for terror, we can’t afford to lose essential protective services. 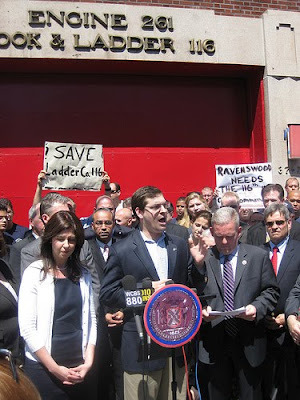 Today, I rallied with firefighters, union members, and other elected officials outside Ladder Company 116 in Dutch Kills, Queens, calling on the Mayor to find another way to save money besides closing firehouses. Ladder 116 is the closest firehouse to Roosevelt Island, and Island residents rely on the company for a quick response in emergencies. Eliminating Ladder 116 would be a mistake with potentially tragic consequences for Roosevelt Island — while we don’t know yet whether it’s on the list of proposed firehouse closures, I will do everything I can to ensure that it stays in the business of protecting Roosevelt Islanders and their neighbors in Western Queens. I give Assembly Member Kellner great credit for his constituent services. Although I may disagree with him on some issues (notably the FDR Memorial) he personally shows up when needed by Roosevelt Island and is often on Roosevelt Island talking to residents about their concerns. NY State Department Of Health Five Year Cancer Count Map Shows 77 Cases For One Roosevelt Island Area But Only 26 Mere Blocks Away - What's Going On? The state departments of Health and Environmental Conservation unveiled a new, interactive map today that uses census data from 2000 to show cases of cancer around the city. It also highlights things like hazardous waste generators, commercial pesticide sellers and active solid waste sites in hopes that users can better understand the causes of cancer. The Environmental Facilities and Cancer Map shows the number of people diagnosed with cancer (cancer counts) for the years 2003-2007 in small geographic areas of New York State. Locations of certain environmental facilities can also be viewed. These maps cannot show that an environmental facility causes cancer in a community for a variety of reasons. Confusingly, the statistics change dramatically from a total of 77 cases to 26 with a different address - 591 Main Street - a few blocks north. Note that the two Roosevelt Island addresses have different "Small Area ID Numbers". Does the location of Coler-Goldwater Hospital on both the south and north ends of Roosevelt Island skewer these results? I don't know but will be looking into it. I did not look at the Gothamist article before, but I think you should quote it entirely, because it compares Roosevelt Island with two other neighborhoods, one in the West Village and one in DUMBO to illustrate discrepancies between areas. In opposition to the feeling I had when I read your article, RI is, among the 3, the zone with the LOWEST incidence of Cancer (1.5% vs 3% and 4.7%). Apparently, the goal of this map was to make people realize that cancer is a very common disease. It was not to scare people about higher occurences of this or that type of cancer in their neighborhood. It is possible that people with cancer lived elsewhere before their diagnosis. This is important because cancer can take many years (5 to 40 years) to develop. This is referred to as cancer latency. People's exposures earlier in life, at a different address, may have contributed to their cancer. Roosevelt Island Health & Fitness Day May 15 - Come Outdoors On Saturday And Have Some Healthy Fun! Mark this on your calendar for the weekend. 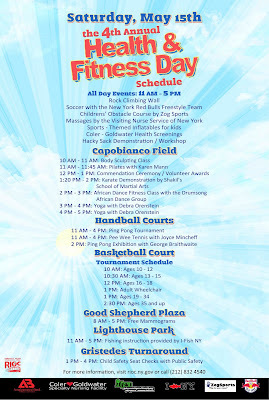 Saturday, May 15, is Roosevelt Island Health & Fitness Day. Come out to Capobianco Field between 10 AM - 5 PM and have some healthy and fit fun. 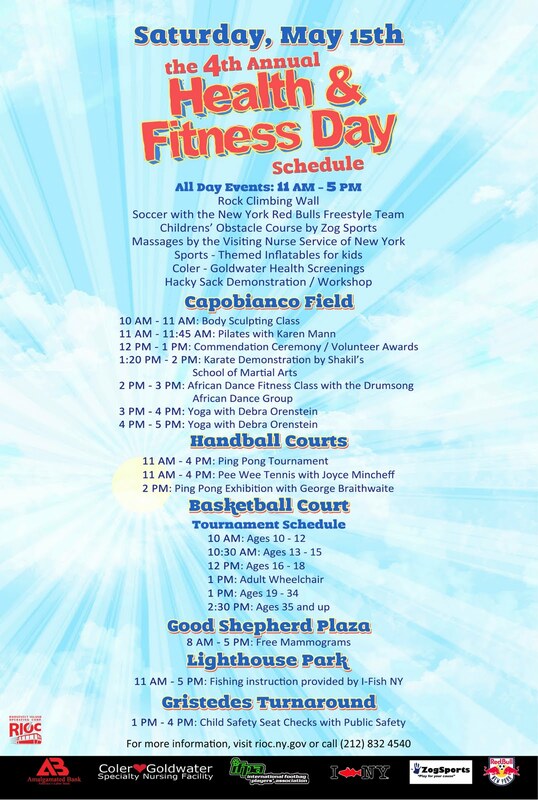 Join us at the 4th Annual Roosevelt Island Health and Fitness Day. The all day, free outdoor event will take place on Saturday, May 15th, 10 AM - 5 PM. 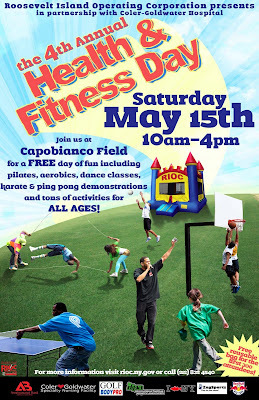 Featuring health and fitness screenings, demonstrations, giveaways, mini-lessons, skill challenges, safety clinics, and tournaments throughout the day. In addition, we will be hosting our first ever marathon of free outdoor fitness classes led by instructors who live in the community. Fitness instruction include Pilates, Yoga, Body Sculpting and other fun classes to help shed some extra pounds. So, come out for some spring cheer as we promote healthy initiatives for the Roosevelt Island community. Looking forward too seeing you there! Be sure to sign up for the ping pong and basketball tournament before hand. 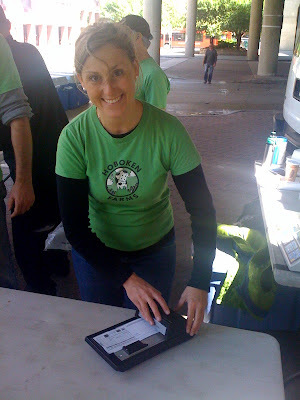 Here are some scenes from the 2009 Roosevelt Island Health & Fitness Day. ...Temple’s mother Eustacia Cutler will at The Child School/Legacy High School auditorium this Tuesday, May 11, at 6:00pm at 566 Main Street, Roosevelt Island, New York City. There will also be a special photography exhibit by Paul O. Colliton entitled "A Father’s Moving Photo Study of Autistic Son and His Classmates." The event will also include a silent auction to raise funds for the school’s programming. The Child School is a non-profit organization and event donations are restricted for student learning tools and activities. For further information contact Camille Mouquinho at The Child School by e-mail. More information available at the Roosevelt Island Child School web site. Temple Grandin's presentation to TED Conference on Autism and how the autistic mind works is below. Please be advised on Tuesday, May 11, 2010 Save-A-Lawn will be applying pesticide applications at various common areas Island wide. The lawn areas to be treated are Riverwalk Commons, Rivercross, Blackwell Park, Toddler Park, Tennis courts, and some areas at Lighthouse Park. These areas will have the necessary signs posted that are required by New York State Law. Please note these areas should not to be utilized for at least 24 hours for your safety. 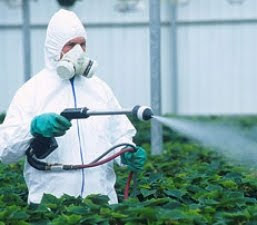 More questions and answers regarding New York State Pesticides Program from the NY Department of Environmental Conservation. Please be advised on Tuesday, May 11, 2010 at 9:00 a.m., DEP (Department of Environmental Protection) will be shutting the 20" water main on the Southern part of Main Street from buildings 405 to 415 Main Street. The only buildings that will be affected are Riverwalk's / Southtown's 405 and 415 Main Street. The rest of the buildings in Southtown will not be effected. Those buildings that are effected will have no water for an estimated 4 hours. The shut down is necessary to detect if the main is leaking which is causing a water flood in a ConEdison Electrical Vault next to the tram. DEP has informed us that the shut down will only take up to 4 hours.